Defense. It seems like a word that the Wizards are struggling with. 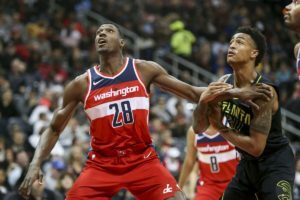 This season opponents are averaging 120.5 points a game against a Wizards team who, in the past, under Scott Brooks only allowed 106.5 points a game. Against the Dallas Mavericks, they showed that the defensive struggles continue as they allowed 70 points alone in the first half en route to a 119-100 loss. The Wizards have always been able to score the ball, but slowing down their opponents this season, not so much. The Wizards are now 2-8 on the season and defense has been the concern since opening night. Let’s rephrase. 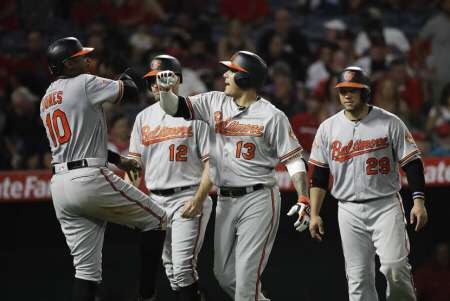 The defensive effort has been the concern since opening night and both coaches and even players have been complaining about it. So what’s the problem here? Problem #1- Guard play. A breakdown here in the defense is a domino effect. Both John Wall and Bradley Beal admit to how defense begins with them. 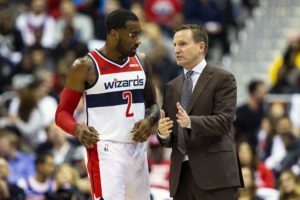 After being blown out 134-111 to the Oklahoma City Thunder, Wall went on to say “offense has never been the problem” it’s just what they can do on the defense. “Until we figure that out, we are going to have the same problems”. Problem #2- Defensive rebounding. The Wizards haven’t been aggressive enough in this regard. 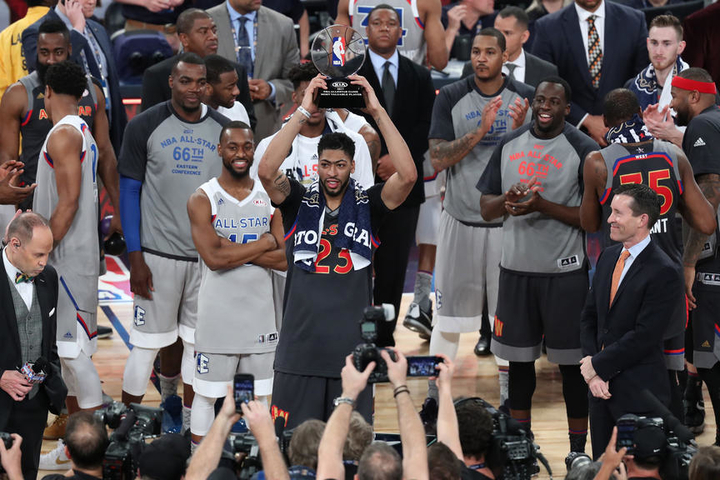 They rank 29th in the NBA, but a lot of that might be due to the absence of recently acquired center Dwight Howard. Another discouraging stat is that they are ranked 25th in the league in allowing second-chance points. The hope is that with Dwight the defensive rebounding will improve. Problem #3- Defending the three-point line. The effort in this area of defense is essential. The Wizards are allowing around 12 3’s a game which means opponents are shooting 40% from 3. In their last game, against the Mavericks, they allowed 13 in the first half. Rotating the defense and a lack of communication tends to lead to wide open 3’s for the opposing teams. 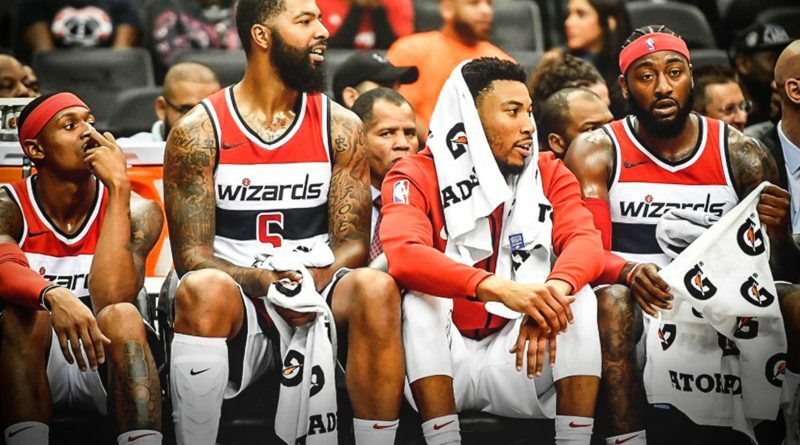 The Wizards need to figure things out quick. They are 14th in the eastern conference standings, but they are optimistic about turning things around. “We’ve been here before”, Coach Scott Brooks said asked about the team’s performance this early on in the season. Brooks first year with the Wizards did start off exactly this way, and they were able to get hot at the right time. Can they replicate that success this year? 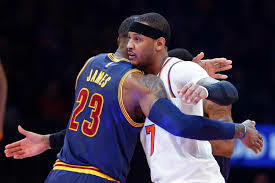 Can Carmelo Anthony and LeBron be Teammates?